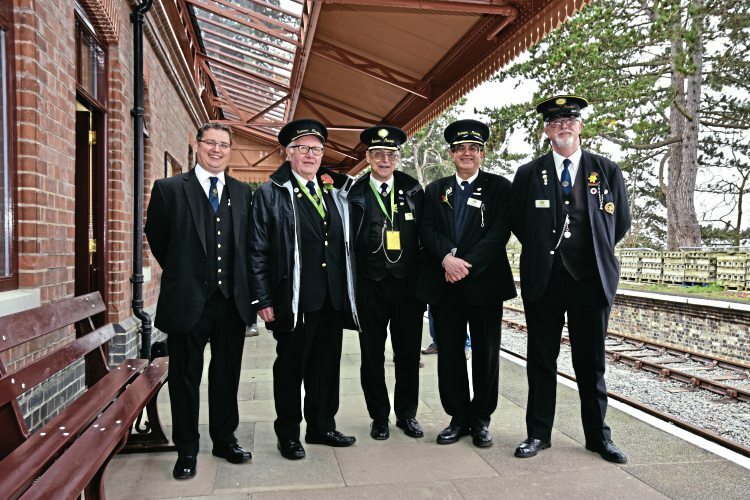 THE opening of the Gloucestershire Warwickshire Railways’ northern extension to the tourist honeypot of Broadway has seen passenger numbers soar by 52% at the halfway stage of the season. Figures revealed that by the end of June, nearly 72,000 passengers had travelled between Cheltenham Racecourse and the newly opened station at Broadway. That compares with 46,500 passengers at the year to date in 2017 – an increase of 52%. The Give My Regards to Broadway-themed Cotswold Festival of Steam over the late-May Spring Bank Holiday – sponsored by Heritage Railway publisher Mortons Media Group – saw the average number of visitors per day rise from 1195 in 2017 to 1987 – an increase of 66%. The real ale weekend in May saw a 69% increase in visitors from 680 to 1151. The May Day Bank Holiday weekend saw a 1276% increase from 329 visitors a day on average to 891. Passenger numbers on ordinary running days between April and June rose from an average of 353 in 2017 to 570 – an increase of 63%. Broadway station was officially opened to the public on Good Friday, March 30. Previous Post:The ‘real’ 1T57 runs again on the Great Central!